Here is another post in my series critiquing a PowerPoint presentation of Paul Connett – a leading US anti-fluoridation activist. Paul prepared this for a meeting in New Zealand Parliament buildings last February. Although only three MPs turned up his presentation is important as it summarises almost all the arguments used by anti-fluoridation activists. Connett argues the evidence community water fluoridation (CWF) is effective in reducing tooth decay is weak. He covers this in slides 96-110 but in this post I will deal only with the New Zealand evidence he uses (slides 108-110). Paul’s presentation can be downloaded for those wishing to look at it in detail – see Prof Paul Connett Power Point Presentation to Parliament 22nd Feb 2018. We know how unreliable FFNZ is as a source and the data is obviously cherry-picked. But what is the truth? What do the NZ School Dental statistics really say about the oral health of children in NZ? I have covered this before – FFNZ misrepresentation of the MoH data is an annual event occurring each time the Ministry of Health adds its annual summary of the data to their web pages. “Children living in communities with fluoridated drinking-water generally had better oral health than children living in non-fluoridated communities. In 2016, around 60 percent of 5-year-olds were caries-free in their primary teeth. Rates were similar in fluoridated communities (60 percent) and non-fluoridated communities (60 percent) (Figure 1). More Māori and Pacific Island 5-year-olds were caries-free in fluoridated communities than in non-fluoridated communities in 2016. The largest difference can be seen for Māori children. 5-year-olds had on average 1.8 decayed, missing or filled primary teeth in 2016. Children living in fluoridated communities had less decayed, missing or filled teeth than children living in non-fluoridated communities (Figure 2). What does the new data really say? Let’s look at a summary of the data – for 5-year-olds and year 8 children – and for the different ethnic groups listed – Māori, Pacific Island and “other”(mainly Pakeha and Asian). You can download the spreadsheets contain the data from the MoH web page – Age 5 and Year 8 oral health data from the Community Oral Health Service. We will look at the % of these children that a free from caries as well as the mean decayed, missing and filled teeth (dmft and DMFT) for each group. You can see why FFNZ chose the 5-year-olds instead of year 8 children. Even the misleading data for the “Total” group suggests an almost 20% improvement of dental health in fluoridated areas. Fluoridation appears to be associated with an improvement of dental health from about 18% (for “Other”) to 30% (for Māori). What’s the problem with the 2009 Oral Health Survey? “Overall, children and adults living in fluoridated areas had significantly lower lifetime experience of dental decay (ie, lower dmft/DMFT) than those in non-fluoridated areas. There was a very low overall prevalence of moderate fluorosis (about 2%; no severe fluorosis was found), and no significant difference in the prevalence of moderate fluorosis (or any of the milder. Yes, it covers only the period up to 2008 and it would be good to get more recent high-quality data from a similar study. But Connett’s accusation of “cherry-picked data” is simply wrong – and dishonest. In fact, scientific principles were used to obtain a representative sample for the survey – recognising that oral health is strongly influenced by ethnic, regional and fluoridation differences. The methods used are explained in 22 pages of the report – MoH. (2010). Our Oral Health Key findings of the 2009 New Zealand Oral Health Survey. In contrast, the annual School Dental Data is simply a record of overall findings. There is no attempt to standardise diagnostic and reporting methods to the standard of the Oral Health Survey or scientific studies. But, of course, it provides a lot of data which can be cherry-picked to support a specific argument or confirm a bias. FFNSZ and Paul Connett have ignored all the known ethnic, social and regional differences in their cherry-picking. Consequently, their reported “findings” do not have credibility. I think it is somewhat disrespectful of Paul Connett to include such a shonky bit of misrepresentation in a presentation prepared for members of parliament. It is also disrespectful in that he relies on his scientific qualifications, his Ph. D. to give “respectability” to a scientific argument which is so easily shown to be false. Surely our members of parliament deserve something better than this. Although, even with members of parliament, I guess the old adage “reader (or listener) beware” applies. Sensible MPs will not accept such assurances at face value and will seek out adive=ce on such matters from their officials and experts. I guess we should feel pretty confident that most of our MPs are sensible in this repect. The fact they did not turn up to a meeting to hear someone well-known for misrepresenting the science is telling – and this despite the fact that anti-fluoride activists were exerting strong pressure on MPs to attend. Politicians have experienced, and learned from, excessive lobbying, pressuring and untruthful submissions precisely because of their targeting by anti-science activist groups like FFNZ. They know this is why local councils wanted the central government to take over fluoridation decisions. I suspect our parliamentary politicians are a little more mature than our local body politicians and now treat such organised campaigns like water off a duck’s back. Caught again! – NZ anti-fluoride campaigners tell their annual porky about the MoH statistics for the dental health of school children. This exercise in confirmation bias by New Zealand anti-fluoridation campaigners has become an annual tradition involving confirmation bias and cherry-picking. Every year the Ministry of Health (MoH) releases a spreadsheet containing the most recent data on school children’s dental health. And every year the Fluoride Free NZ (FFNZ) activists select some figures from the spreadsheet to argue their case that fluoridation is not effective. A simple exercise in bias confirmation by cherry picking. I wrote about last year’s exercise in my article Anti-fluoridationists misrepresent new dental data for New Zealand children. That involved the MoH data for 2015. My comments on their misrepresentation of the newly released 2016 data will be much the same. Notice the specifics – 5-year-olds. And no mention of ethnicity. They have simply used the total figures (which mislead because of effects of ethnic differences) and cherry-picked the specific data where the figure for fluoridated areas and non-fluoridated areas are very close. The figures above show big differences between ethnic groups, with the dental health of Pacific Island children being the worst. This is an important factor because most Pacific Island children live in fluoridated areas – about 85%. The figure below shows the distribution of the two different age groups. This means that the overall, or “Total” data is distorted. Pacific Island children predominance in fluoridated areas increase the value of dmft/DMFT and lowers the value of caries-free % in the fluoridated areas. So the FFNZ activists are not only cherry picking to confirm a bias – they have selected the figures which are most distorted by ethnic differences. Far from the latest data showing “absolutely NO difference” it actually shows differences of the order of 18 -30%. Anti-fluoride activists tell porkies about the Ministry of Health’s data on child dental health. They cherry-pick the data to make it appear that community water fluoridation is ineffective. And when challenged to discuss the issue they run away. One of the frustrations I have with the fluoridation issue is the refusal of anti-fluoride activists to engage on the science. They will pontificate, but they won’t engage in discussion. On the surface, one would think there is a difference of opinion or interpretation of scientific issues and that could be resolved by discussion. Yet local anti-fluoride campaigners refuse to enter into discussion. Again and again, I have offered space here to local anti-fluoride campaigners so that they could respond to my articles and they have inevitably rejected the offer. They have also blocked me, and other people discussing the science, from commenting on any of their social media pages or web sites. Even when they, themselves, call for a debate they reject specific responses I have made accepting that call. So I am left with the only alternative of responding to their claim with an article here – or on a friendly web or blog site. At least that gives me space to present my argument – I just wish I could get some intelligent responses enabling engagement on the issues. It repeats the same misrepresentation made by Wellington Anti-fluoride campaigner, Stan Litras, which I discussed in my article Anti-fluoridation cherry-pickers at it again. Kane has either ignored my article, chosen to ignore it or possibly not even understood it. His claim relies on the comparison of data for “non-Māori” children in fluoridated and fluoridated areas. No – he doesn’t misrepresent the data – he just ignores the discussion by these authors of problems with simple interpretation of the data for non-Māori because of the fact it is not ethnically uniform. In particular, he ignores the qualifications they place on the data because of the inclusion in non-Māori of data for Pacifica who have poorer dental health than the rest of this group and live predominantly in fluoridated areas. This, in effect, distorts the data by overestimating the poor oral health for “non-Māori” in the fluoridated areas. The data used in this study were taken from the Ministry of Health’s website. This divides the total population of children surveyed into the ethnic groups Māori, Pacific and “Other.” While the “other’ group will not be completely uniform (for example including Pakeha, Asian, other groups) it becomes far less uniform when combined with the Pacific group to form the non-Māori group. So, Kane salivates over this figure from the paper especially the plots for non-Māori ethnicities in fluoridated (F) and non-fluoridated (NF) areas. When the Pacific data is removed (as is the case for the “other” group effectively made up from non-Māori and non-Pacifica) we get the plots below. Nowhere near as useful for Kane’s confirmation bias and the message he wants to promote. OK – there is still some evidence of convergence from about 2007 on between fluoridated and unfluoridated children. But the graphs do show that community water fluoridation is still having a beneficial effect. And this apparent convergence could be explained by things like the introduction of “hub and spoke” dental clinics after 2004. One problem with this raw data is that children are allocated according to the fluoridation status of the school – rather than their residence. This will lead to incorrect allocation in some cases. Just to underline the problems introduced by inclusion of Pacific in the non-Māori group of the study consider the data for Pacifica shown below. The oral health of Pacifica is clearly poorer than that of the “other” group. Also, Pacifica make up about 20% of the non-Māori fluoridated group. So they will influence the data for the non-Māori fluoridated group by reducing the % caries free and increasing the mean dmft. So Kane, like Stan, is blatantly cherry-picking. He is misrepresenting the study – and its author – by ignoring (or covering up) the qualifications regarding the influence of inclusion of pacific in the non-Māori fluoridated group. Now, I repeat the offer I have made in the past to give a right of reply to both Kane Titchener and Stan Litras. They are welcome to comment here and if they want more space I am happy to give space for separate articles for them in the way I did for the debate with Paul Connett. Now I can’t be fairer than that, can I? So what about it Stan and Kane? What are your responses to my criticisms of the way you have cherry-picked and misrepresented this New Zealand paper? NOTE: I have sent emails to both Kane and Stan asking them to respond and offering them right of reply. “Thanks for the offer, Ken, but I have not visited your blog site for a long time, as I object to the way you attempt to defame and discredit me. You play the man and not the ball, which is not the mark of a reasonable person. So much for his wish for a “national debate” when he will not front up to a critique of his claims about the science. Rather strange – considering he often pesters me with emails. So I guess both of them have turned down my offer. Cherry-picking data is an old technique used by those who wish to raise doubt about a scientific consensus. On the one hand, it isolates the cherry-picked data from their context and the rest of the data. On the other hand is present a “sciency” authority to the argument by pretending to be evidence-based. I have written about cherry-picking in several articles discussing the fluoridation issue – so nothing new here. But the current surge of activity by anti-fluoridation activists attempting to raise doubt with the upcoming parliamentary discussion of new legislation on fluoridation is producing a fresh wave of cherry-picked arguments. The image here is just one example in a letter to the Christchurch Press a few days ago. I thought it worthwhile to actually check out the quoted figures to see if the arguments awere justified. Firstly, the figures were taken from the Ministry of Health’s 2014 data for the dental health of New Zealand children. Unfortunately, while the actual numbers used are correct, the data has since been withdrawn because of errors in the spreadsheet. So I will use the data for earlier years, 2005 – 20013, in my analysis. I have separated the data by ethnicity because of the big differences Māori and Pacifica on the one hand and the other ethnic groups on the other. In particular, the dental health of Māori and Pacifica children is poorer. This is an important factor which needs to be taken into account when comparing data from different regions. I discussed this further in my article Anti-fluoridation cherry-pickers at it again. It is likely that at least some of the 2014 spreadsheet mistakes were in the Canterbury data – but still the claim that there is no real difference between data for fluoridated and non-fluoridated areas could well be true – at least for some years. The figure below displays the data for 5-year-old children. Choose your year and you will get the answer you want to confirm your bias. Children from fluoridated areas seem to have poorer teeth in 2008 and 2010 and better teeth in 2012 and 2013. MoH 5-year-old child dental health data for 2005-2013. dmft = decayed, missing and filled teeth. The plots in the above figure indicate how unreliable such comparisons are for Canterbury because the fluoridated data is all over the place. This is because of the very low number of children in the fluoridated area: 22 – 70 over the years, 42 on average. There were on average 4720 children in the non-fluoridated areas. Children from the fluoridated area usually comprised less than 1% of the total. The data for Canterbury does not deny the effectiveness of fluoridation, as the letter writer claims. They just show that no conclusion can be drawn from this cherry-picked data. At least I cherry-picked the data from 2005-2013 which enabled me to see how unreliable they were. The letter writer just cherry-picked one year! What will they do if the corrected spreadsheet for 2014 no longer supports their bias – switch to 2010 instead? Here we have a different problem. The letter writer has simply cherry-picked these figures because they confirm her bias. She has not taken into account the important influence that ethnic composition has. Any intelligent analysis of this comparison must consider this aspect. This is the ethnic composition of the 5-year-olds MoH data (averaged over 2005-2013). So, whereas only 13.4% of Canterbury 5-year-olds are Māori or Pacifica, 33.6% of Waikato 5-year-olds are Māori or Pacifica. This is an important difference – especially as the dental health of Māori and Pacifica is poorer than others as demonstrated in the first figure . Any analysis that does not take this difference into account will be misleading. As well as ethnic distribution between regions there is also the influence of ethnic distribution between the fluoridated and non-fluoridated areas. This was a factor I discussed in Anti-fluoridation cherry-pickers at it again. The graphic below for 5-year-old children shows Māori and Pacifica are more concentrated in the fluoridated Waikato areas than in the non-fluoridated ones. Distribution of Māori and Pacifica between fluoridated and non-fluoridated areas. We can ignore the bar for fluoridated Canterbury because of the very small numbers. What this means is that the mean value for fluoridated Waikato areas is decreased by the higher presence of Māori and Pacifica than in the non-fluoridated Waikato areas. This higher proportion Māori and Pacific in the Waikato region also affects the comparison of the two regions made by the letter writer. Rather than comparing oranges with apples, let’s compare Canterbury and Waikato for the same ethnic group – Others (not including Māori and Pacifica). As the figure below shows, removal of the effect of Māori and Pacifica from the Canterbury data increase the caries-free percentage – but it is still slightly less than the equivalent data for the fluoridated Waikato areas. So much for children from non-fluoridated Canterbury areas having better teeth than children from fluoridated Waikato areas. Some anti-fluoride campaigners are pulling the same trick – asserting the dental health of non-fluoridated Canterbury children is better than for the fluoridated Auckland and Counties/Manakau children. Here is a comparison of the ethnic composition of the three regions for the 2013 5-year-old MoH data. See the problem? It is just completely naive – or worse, dishonest – to compare data between regions like this without taking ethnic composition into account. Note: I am well aware that the MoH data have other problems. A truly scientific analysis would also take into account factors like the degree of misallocation of children due to different fluoridation status of home and school, dental treatments such as fluoride varnishes differently used in different regions, missing data, different proportion of attendance according to region and ethnicity, etc. I am not the person to make such a thorough analysis. My sole purpose here is to show how such raw data can be misused for confirmation bias and “sciency” support of mistaken political agendas. Another whopper from the anti-fluoridation movement in New Zealand. They claimed yesterday that “data released by the Ministry of Health today confirm that water fluoridation is having no noticeable effect in reducing tooth decay” (see DHB Data Show No Benefit From Water Fluoridation). Yet a simple scan of the data (which can be downloaded from the MoH website) shows this to be patently untrue. Here is a graphical summary of the New Zealand-wide data for 5-year-olds and year 8 children. It is for 2014 and I have separated the data ethnically as well as presenting the summary for all children (“total”). DMFT and dmft = decayed, missing and filled teeth. Now – don’t these figures show the press release headline and the first sentence are completely dishonest? The data for all children (“total”) Maori and “other” show children in fluoridated areas have a higher percentage of caries-free teeth and a lower mean value of decayed, missing and filled teeth. The data for Pacifica are less definite – because the vast majority of Pacific children live in fluoridated areas. I discussed this further in my last post A challenge to anti-fluoridationers to justify their misrepresentation of New Zealand research. So the headline and main message of the anti-fluoridationists press release were outright lies. However, they will fall back on the claim that the press release does contain some facts. But these are just cherry-picked snippets taken out of context to confirm the bias of the anti-fluoride mind. For example, comparing data for Christchurch and Nelson-Marlborough with those for Auckland and Counties-Manukau is just disingenuous if the ethnic differences (which we know clearly play a role in oral health) are not considered. Similarly, reference to the 2o14 “overturning” of the Hamilton Council decision to stop fluoridation is just silly considering that there are no separate data for the city and the Hamilton Council fiasco over water fluoridation overlapped the period the data covers. Of course, this press release has been processed through the international anti-fluoridation – “natural”/alternative health media channels so expect to be bombarded with international reports based on these lies. The lesson from this little story – don’t take claims made by anti-fluoridation campaigners, or similar activists with an anti-science agenda, at face value. Always check them out. Like most people I struggle to find the energy when representative and government bodies call for submissions. But I did make the effort recently when Medsafe called for submissions on their proposed clarification of how fluoridating agents are defined in the medicine regulations. I am pleased to see the simple suggestion I made was accepted. But my purpose here is to illustrate how this consultation proceeded and how opponents of community water fluoridation (CWF) tried to swamp it with their submissions. Last November the Ministry of Health (MoH), through Medsafe, called for submission on a change to the Medicine Regulations 1984. This change had been recommended by the High Court and the Crown Law Office who specifically suggested that fluoride compounds used for CWF be exempt from definition as a “medicine.” This arose from the defeat of attempts by an anti-fluoride group, New Health NZ, to use the argument that fluoridation was medication in the High Court actions against CWF. Despite these defeats the High Court and Crown Law Office considered the regulations should be clarified to remove the argument from repeated litigation. Question 1: Do you support the proposed amendment? If not why not? Question 2: Are there other fluoride-containing compounds used to treat community water supplies that should be specifically named in the regulation? If so, what are they? The report from MoH on the process and their recommendations to cabinet give an idea of the submissions made and the final decision. As we might expect from past experience the submissions were dominated, in numbers if not quality and relevance, by those from the anti-fluoride groups. They had organised a national and international campaign to swamp Medsafe. Paul Connett’s Fluoride Action Network, Fluoride Free NZ and New Health NZ even provided texts and templates to copy and paste into submissions. So, the activist organisations can certainly mobilise their forces for submissions. But concentration on numbers and not content – and cynical provision of content to followers anyway – didn’t win them any credence. Did they really think blatant duplication of submissions would not stick out like a sore thumb? Nice to know that the consultation was not a sham and that reasonable and credible suggestions were listened to and even accepted. It is worth making submissions even when one is aware they me in a minority. If something is worth saying it should be said despite attempts by others to confuse issues. Also nice to know that some consultations are not simply swayed by quantity and not quality – as was the case for the Hamilton City Council fluoride consultation in 2013 (see When politicians and bureaucrats decide the science). The Hamilton City Council consultation also showed an extreme naivety in the Council’s willingness to ignore the established science. I wonder what approach they would have taken if the NZ Fluoridation Review had been available at the time? From dental neglect to child abuse? Talk about conflicts of interest! “Cross-party inquiry comes up with strong message for change from emphasis on caring for people late in life. New Zealand must change its health-care priorities from the last two years of life to the womb if it is to improve its record on child health and child abuse, an inquiry has found. More than half the Government’s $14 billion health budget goes towards caring for people late in life. So here I am – at the stage of life where our government is investing half its health budget. Yet my experience cries out to me that the suggested change of emphasis makes sense – for the good of individuals and society. Most people agree we have to do something about child poverty, child neglect and child abuse in this country. Re-prioritising social health investment would go a long way to doing that. Surely its a no-brainer – look after the health of our children and we get healthier adults in the future who will be more resistant to health problems – even in old age. Investing in the health of children is an investment in the future of all ages – and the health of society in general. It is actually a report from the NZ Parliamentary Health Committee. The Committee make specific recommendations in it and the report now goes to the government for consideration. I have only read part of the report so far so will just comment here on the Oral Health chapter – being quite relevant at the moment. True – but I would add the effects of poor oral health in childhood have repercussions right through life – even effecting the quality of one’s life in old age. I see this as a specific example of how investment in children’s health will reduce health costs for the elderly in the future. 102 We recommend to the Government that it work with the Ministry of Health to ensure that the addition of fluoride to the drinking water supply is backed by strong scientific evidence and that ongoing monitoring of the scientific evidence is undertaken by, or for, the Ministry of Health, and that the Director-General of Health is required to report periodically to the Minister of Health on the status of the evidence and coverage of community water fluoridation. This is already happening to an extent with the National Fluoride Information Service and I hope their work continues and possibly expands. Scientific knowledge is always improving so it is important that we keep and eye on research findings and adjust health policies if, and when, necessary. It will be interesting to see how the government reacts to this recommendation. Fluoridation has become a bit of a political football for local bodies. This is not good because local body councillors can often have minority viewpoints and tend to be more easily influenced by ideologically motivated political activists. It seems more responsible that such important health issues are handled centrally by bodies with health expertise. Considering the consequences of child dental neglect I fully endorse that recommendation. Perhaps I would go even further – my reading having encouraged me to think of child neglect as a form of child abuse. Perhaps we should admit that child dental neglect is a form of child abuse? Anti-fluoridation activists work very hard to propogate their misinformation. Letters to the editor, Facebook, Twitter and blog comments. At times their material will dominate google searches. No wonder the layperson can be confused, or even influenced by some of this information. So I welcome the announcement of a new website dedicated to correcting the misinformation. This will provide New Zealanders a place to go for information on fluoride and fluoridation when they or their communities are faced with questions or even decisions. Interestingly, it is probably fairly unique in New Zealand – on-line action by authorities to counter misinformation about science and health. Here is the media release about the new website from the Minister of Health Tony Ryall. A new website, www.fluoridefacts.govt.nz will help local communities make informed decisions on water fluoridation, Health Minister Tony Ryall says. The most recent nationwide New Zealand survey into oral health showed 40 percent less tooth decay on average for children living in fluoridated areas compared with non-fluoridated areas, Mr Ryall says. In New Zealand the levels of fluoride used in community water fluoridation are carefully monitored and within the guidelines of the World Health Organization and other public health agencies. For further information, including videos from Chief Science Advisor, Professor Sir Peter Gluckman, Chief Medical Officer of Health Dr Don Mackie, Chief Dental Officer Dr Robyn Haisman-Welsh and Children’s Commissioner Dr Russell Wills, along with other health experts and community leaders, see: www.fluoridefacts.govt.nz. Further information also available from www.Health.govt.nz and www.nfis.org.nz the National Fluoride Information Service. 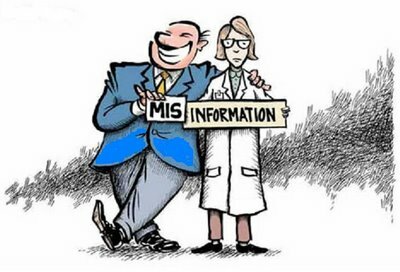 Fluoridation – an organised campaign to misinform. In my article Poisoning the well with a caricature of science I mentioned the anti-fluoridation activists in the US using a conscious strategy of casting doubt on the science. It strikes me this is also a conscious strategy used by local activists on this subject. Fluoridation – are we dumping toxic metals into our water supplies?, Fluoridation – it does reduce tooth decay, Fluoridation – topical confusion, Fluoridation and conspiracy theories. The outright distortions are being disseminated by a very active and organised letter writing campaign on the internet, to newspapers and to local bodies. Because of the responsibility of local bodies for water supply these activist organisations see them as a key target in their misinformation campaign. Soften them up with letters, get a hearing of submissions which they dominate (quantitatively but not qualitatively) and then get a decision to stop fluoridation. Hamilton was just such an example. The council recognises they do not have the expertise to check the evidence they are getting from the anti-fluoridation network (or anywhere else, presumably). Seems sensible – call in the experts. Despite this lack of expertise they have concluded that the Ministry of Health’s “pro-fluoride” position should be reviewed. (I can only imagine this was because of peroieved public pressure as they lack any expertise). We saw all these factors in the Hamilton example. The council and the Mayor admitted they did not have the expertise to judge the evidence. They even passed a resolution asking for these sorts of decisions to be made by central government. Despite this acknowledgement they went ahead and set themselves up as a tribunal to review and make decisions on the science! Several councillors justified the decision by repeating some of the pseudoscience they had been dished up as if it were fact. They now consider themselves experts on the subject! Some councillors also discounted correspondents who took issue with their interpretations, and the very bodies with the expertise – the Ministry of Health and the District Health Board. Some councillors have gone as far as suggesting that limitations should somehow be placed on the ability of these bodies to communicate with Hamiltonians during the buildup to the October fluoridation referendum! But really the Hamilton experience should make other New Zealand councils suspicious of these campaigns. After all, this council did come out against the views of its citizens demonstrated in the 2006 referendum and in more recent polling. Consequently they came in for a certain amount of ridicule from local media and commenters for their anti-fluoridation decision. “There will be people who come from out of town and tell all sorts of shock-horror stories around fluoridation. According to this editorial the Minister of Health has “ordered officials to marshal the strong scientific case for both the health benefits and safety of fluoridation in strengthening and protecting teeth against decay.” He sees an increased responsibility for the Ministry of Health, and probably district health boards, to counter the anti-fluoridation misinformation campaign. Personally I think this is an important response – but it still suffers from being seen as a battle between institutions and grass-roots activists. There is a limit to the amount of initiative such institutions can take. We need more scientific and health experts to also be seen, by name, opposing and exposing this misinformation.